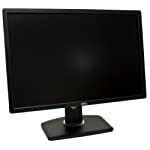 The BenQ BL2411PT is an older model but as there aren’t many 16:10 models on the market we’ll still cover it here on Monitors-UK. You can see other 1920 x 1200 models here. If you are unfamiliar with screen ratios then essentially these models are slightly squarer in shape compared to the traditional wide screen format, they achieve this by putting extra lines of pixels along the bottom so that you get more space. If you like to hide the Windows tool bar to get extra space, well, with this format you’ll no longer need to! In other respects the BL2411PT is a fairly standard IPS screen. These displays are known for improved colour accuracy and viewing angles compared with the common TN panel type. On the flip side they can suffer from back light bleed and have slower response times. That said, the quoted 5ms grey to grey transition time is about as good as it gets on IPS monitors. The Benq is a smart looking monitor that will suit a home office. I’m not a big fan of the industrial looking square base but that’s just my taste and besides, personally I prefer to mount my screens. This model includes VESA 100 x 100 fixings so you can use your own monitor arm. The good news is that the included stand is fully adjustable allowing for tilt, swivel, rotate and height adjustment. The screen has a light matte anti-glare surface which provides a balance between clear visibility without making it overly grainy as can happen with some anti-glare surfaces. Some low powered 1W speakers are included and although I haven’t heard them myself they are reportedly low quality as might be expected. It’s useful to have some sound but if you are playing games or watching movies you’ll want to rely on external headphones or speakers via the included output jack. You get DisplayPort, DVI-D and VGA inputs to connect up to your PC. There is no HDMI but given this is a 1200p screen it is really aimed at PC users. Professional testers report back positive contrast results in games, and acceptable blacks during movie play back. The out of the box calibration is good with consistent colours and comprehensive coverage of the sRGB colour space. Some calibration may be required if you are working on colour sensitive applications but for most people this isn’t going to be an issue. Some IPS glow is apparent and will affect some of the detail around the edges of the screen, this isn’t specifically a problem with this monitor, unfortunately it is a limitation of IPS technology in general. The Benq provides a decent stable image thanks to a flicker free back light and various tech to make viewing a more comfortable experience. Ambient lighting levels are automatically detected to help adjust the monitor brightness as you work. It will even remind you to periodically rest your eyes if you wish! Response times are very good for an IPS screen and won’t present a problem for gamers who want to fire up a round of Doom, it is easily comparable with a standard TN monitor. It isn’t an out and out gaming screen but it is reassuring to know it can fire out a decent experience when called upon to do so. 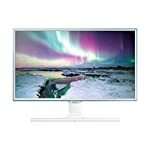 We give the BenQ BL2411PT a 4 out of 5 rating. Want to know what existing owners of the monitor think? You can read real user reviews here. 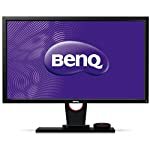 Should I buy the BenQ BL2411PT? A rare 16:10 format screen that provides a little extra screen space for work. But this is an all rounder, it has decent gaming performance too, enough to satisfy the casual gamer. If you are having some doubts about this purchase then why not read some real owner reviews and see what other buyers think. 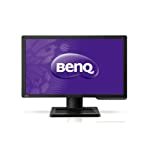 Welcome to the BenQ BL2411PT FAQ. This section attempts to answer common questions you may have, please get in touch if you have any more queries or if you think our answers need updating. 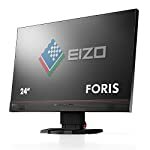 This monitor seems to be a few years old, is it still worth buying? Whilst age can be an issue with monitors some old models hold up very well with more modern components. If you aren’t looking for new technologies such as adaptive sync then there is no reason to discount older screens. Weigh up your choices based on the functionality delivered and what you need. Of course price matters too.